Saab Seaeye offer a range of Launch and Recovery Systems (LARS) featuring either an ‘A’ Frame or a crane mechanism. The LARS can be specified for safe area or Zone 2 area operations. Saab Seaye offer a range of ‘A’ frame LARS designed specifically to match your Seaeye ROV as well as being suitable for launching other manufacturers' vehicles. Elevated ‘A’ frame pivot point to clear a 2 metre high ship's guard rail. Compact integrated skid mounted ‘A’ frame, winch and HPU. Forward located rams to provide clear side access to the ROV and TMS. Stainless steel fittings, fastenings and pipe work to reduce corrosion. No crane required for erecting the ‘A’ frame to reduce mobilisation time and cost. Optional latch mechanism for safer deployment. Transit Crash frame to protect the winch and HPU (part of BS EN 12079 framework). Compact stowed position for easier transport. Designed to DNV Rules for Certification of Lifting Appliances. A-Frame, winch and lock-latch (optional) designed i.a.w. Lloyds Register Code for Lifting Appliances in a Marine Environment. LARS frame designed to BS EN 12079-1:2006 for Offshore Lifting. 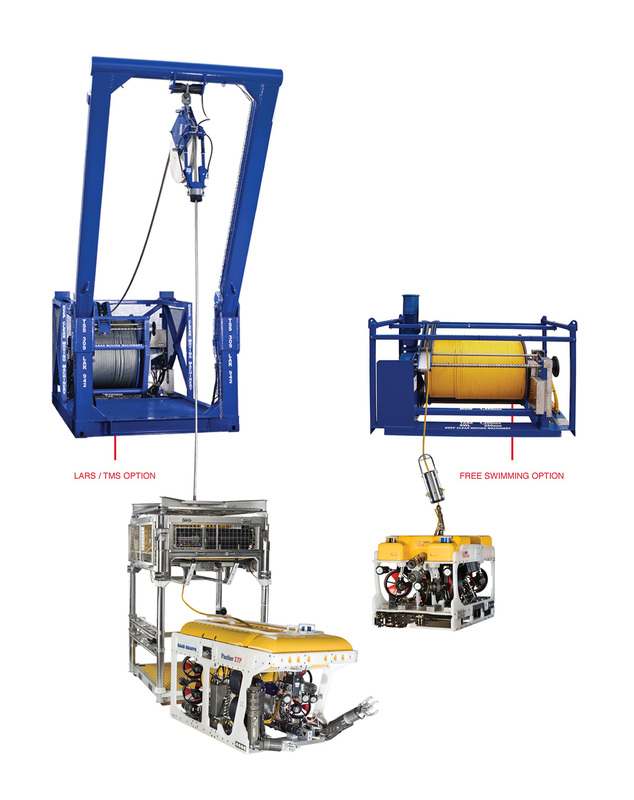 When deck space is limited, Saab Seaeye offers a crane-based LARS for the deployment of ROVs. 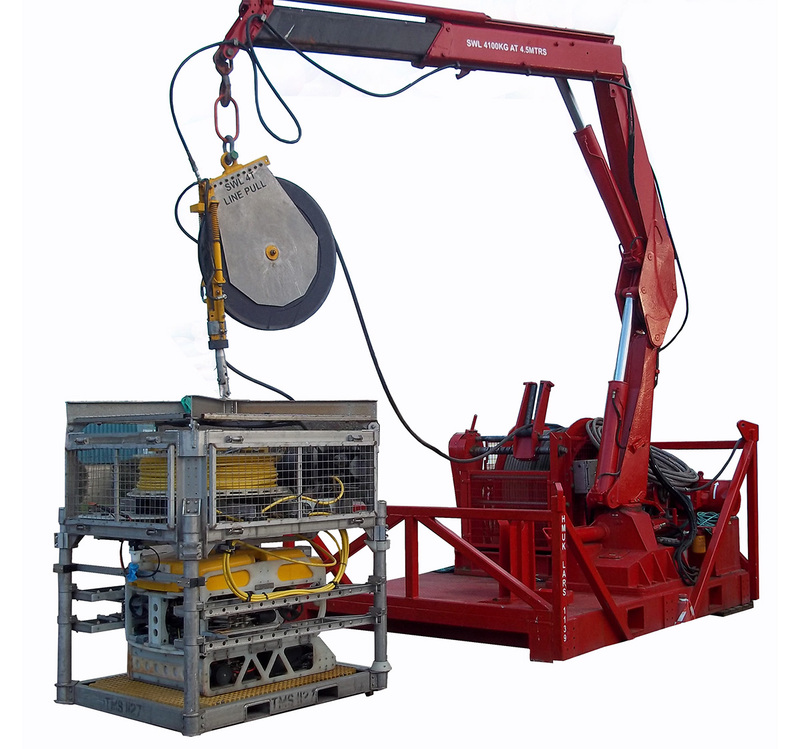 The crane-based LARS incorporates a skid-mounted integrated winch, a power pack, and a marine crane. For transportation and shipping, the Articulated Crane folds and is locked in the stow position.